To better understand the implications of new-onset diabetes after transplant (NODAT), we used our prospectively followed cohort of 628 adult primary kidney transplant recipients to determine the prognostic impact of pretransplant diabetes and NODAT. The study cohort consisted of all participants in four randomised immunosuppression trials performed at our centre since May 2000. For each cause-specific hazard analysed, Cox stepwise regression was used to determine a multivariable model of significant baseline predictors; the multivariable influence of having pretransplant diabetes and NODAT (t) (the latter defined as a zero-one, time-dependent covariate) was subsequently tested. Similar analyses of estimated glomerular filtration rate (eGFR) at 36 and 60 months post transplant were performed using stepwise linear regression. Finally, a repeated measures analysis of mean HbA1c as a function of diabetes category (pretransplant diabetes vs NODAT) and randomised trial (first to fourth) was performed. Median follow-up was 56 months post transplant. Patients with pretransplant diabetes comprised 23.4% (147/628), and 22.5% (108/481) of the remaining patients developed NODAT. 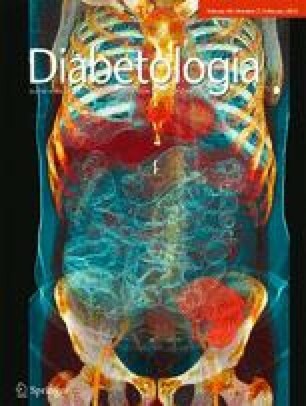 Pretransplant diabetes had no prognostic influence on first biopsy-proven acute rejection and death-censored graft failure hazard rates, nor on eGFR, but was associated with significantly higher rates of death with a functioning graft (DWFG) (p = 0.003), DWFG due to a cardiovascular event (p = 0.005) and infection that required hospitalisation (p = 0.03). NODAT (t) had no unfavourable impact on any of these hazard rates nor on eGFR, with actuarial freedom from DWFG remaining at over 90% among patients in pre- and post-NODAT states at 72 months post transplant/NODAT. Mean HbA1c for patients in the first to fourth randomised trials, averaged across diabetes category, decreased by trial (7.28%, 6.92%, 6.87% and 6.64% [56.1, 52.1, 51.6 and 49.1 mmol/mol], respectively; p = 0.02). Less-than-expected post-NODAT risk for graft loss and death may exist in the current climate of tighter glucose monitoring post transplant. All of the co-authors contributed to each of the following: (1) substantial contribution to conception and design, acquisition of data and/or analysis and interpretation of data; (2) drafting the article and/or revising it critically for important intellectual content and (3) final approval of the version to be published. JJG is the guarantor of this work and accepts full responsibility for the work and/or conduct of the study, had access to the data and controlled the decision to publish.